The best usually ends up working with the best, which is so true. Mushtaq’s successful innings in television began when his close friend Ekta Kapoor, who single-handedly built up the Balaji Telefilms empire goaded him to do something in television at a time when television was not given the kind of respect it is now. What really turned Mushtaq on is that being a workaholic, television allowed him to be so engrossed in work, and it had an interactive immediate response that he wanted to tap on. As he succinctly puts it, television brought his friends, family, fans all together across the length and breadth of the country. People would call him and be concerned when one of the characters in his serial was getting lopped off. He has scripted several popular soaps including 'Kahin To Hoga','Kya Hadsaa Kya Haqeeqat', 'K Street Pali Hill', 'Kahanii Ghar Ghar Ki', 'Kasauti Zindagi Kay', and for Balaji Telefilms. Shiekh's scriptwriting for television serials started with one hour episodes of a short series called 'Rishtey' and 'Saturday Night Suspense' on Zee TV. After that there was no looking back. His stories won him great reviews that further boosted TRP’s of the shows and well, his contribution in reference to scripts in shows at Balaji is something that the entire nation enjoyed. As a writer Mushtaq Shiekh in no time carved his name through the thick hide of our television industry. And then it was time to move ahead and conquer greater heights. A a writer he had played field. Now he wanted to be on the other side of the fence…that from the broadcasting side. And with no time he went on to become the Creative Head for a major television channel (Sahara One). With Sahara, a new phase began for him, where he has been able to change the fortunes of many a television products on the channel in record time. Originally conceptualised as a period love-story that got caught in a time-warp and was not able to transcend a certain segment of its audience, with a simple stroke of Mushtaq's genuis got a new lease of life. What Mushtaq managed to do with the serial is nothing short of sensational. He re-launched the serial one fine Monday by transporting the characters from a period set-up to one in the current age and instantly made people of all age groups connect with it. He called it Kismat Connection in which warring characters became friends and lovers became foes - a twist that perked the imagination of the audience who has been hooked ever since. Formerly known as Kaisi Laagi Lagan, and pitched at the 11pm slot where youngsters are dealing with a supernatural situation, didn't quite glue with the audience till Mushtaq stepped in to revive its 'spirit'. What he did was, instead of making it a haphazard teenage show, he combined the essential element of the Indian family to bring in the family audience to stick with it. The female protagonist is married to her lover and the young bride's Shubh Kadam into a traditional household where she is haunted by a supernatural evil spirit that troubles the family. Mushtaq's brilliant move of bringing the supernatural to the wholesome family audience was a big hit and the show had a very successful run after that. We have all enjoyed our mythological serials. But where is the novelty left in presenting mythological serials deeply entrenched in the present day? Mushtaq began what is being referred to now as the socio-mythological, where he questions our faith in the age of the instant. 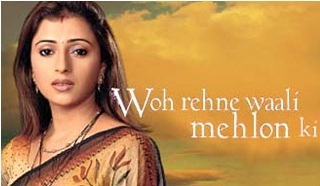 The core value of this show is that it talks about 'Kalyug mein bhakti ki shakti' as Vaishnavi, the lead of the show is shown as a present day ordinary woman in an ordinary family set-up with an extra-ordinary belief in the divine which empowers her to be an agent of good in our troubled lives. Marrying the very best elements of mythological in a social drama was something Mushtaq managed to bring with utmost ease into the living rooms of our country and which has stayed on ever since with its 'special powers' to cement our faith in good television. The serial was launched with great fanfare and ever since has been a favourite of the masses. Since its inception, it has been a show meant for an audience spanning a wide berth - from six to sixty. When Mushtaq spoke about the serial at the launch, he said it would be a show that would bring out many unknown facts about Lord Ganesh, which the show has been unfolding. At a prime time slot in the evening, the show grew leaps and bounds with it’s many exciting tales from the life of Lord Ganesh. Now here is a show Mushtaq is immensely proud of, but the audience was not ready for it yet. 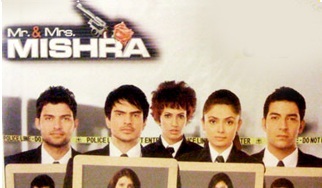 Mushtaq merged reality tv to murder mystery in this spy thriller. For the very first episode he created an atmosphere of stunning suspense as he put the characters of the serial in a “Big Boss kind of” reality tv set-up to investigate a murder within the house. They entered the house in a wild-card set-up and the show began with a bang - casting some of the known faces from the Bigg Boss adventure to give Mr And Mrs Khanna a bumper headstart. However, the show was ahead of its times, a little too early for an audience just settling into its ultra-novelty factor. It's easy for people to confine a show with a female protagonist who has a scarred face as something that borrows from Raj Kapoor's erstwhile film. How does one explain sustaining it as a daily soap? Mushtaq has been saying from the day the show was launched last year that it’s an original. The beauty of the show was that it’s lead female protagonist's misery is off-set with the scenic beauty, culture and traditions of Rajasthan. With a colorful backdrop, melodious folk music, ethnic costumes and stunning visuals, the show caught on with the Indian household as part of their daily staple diet of family entertainement.